Anarchism is an idea that stands for the reorganisation of society and the economy in order to meet peoples’ needs and not for profit, according to the principle, ‘from each according to ability to each according to need’. It stands for a world in which there are no longer bosses and workers, masters and slaves; a world in which everyone is a free worker, and exploitation and oppression have been abolished. It was recently reported by various newspapers that ‘a “notorious gang of anarchists” with links to cash heists is attempting to destabilise the Gauteng ANC’. Newspaper articles [*] quoted ANC provincial secretary David Makhura as saying that an ANC investigation would ‘expose the hidden hand of business people who are fuelling and financing activities that seek to disrupt the functioning of the ANC’. The claims came after a group of disgruntled party members allegedly held an unofficial parallel election to decide the party’s Tshwane leader. According to Makhura the parallel gathering ‘was organised by a notorious gang of anarchists, most of whom have disciplinary cases’. Now, as anarchists, these claims are naturally very curious to us. It is quite clear to us that what is going on within the ANC in Tshwane is not the sinister plot of a group of anarchists, but a factional fight within the leadership of the ruling party – none of whom are anarchists! One faction of the ANC is simply (mis)using the term ‘anarchist’ as a slander against their internal political opposition. They are using the term as a synonym for ‘criminal’. This is incorrect. It is not us anarchists that are the criminals. It is the politicians inside the ANC, and inside government, that are the criminals. Criminals and liars. Liars for all the broken promises they have made, and criminals for profiting off the misery of the people; while violently repressing any attempt that we make to improve our conditions and fight for our rights. In fact, these factional fights within the ruling party are fights over who is going to be able to loot state coffers through their positions in the ruling party and the state. Now, we may be anarchists but stealing and misspending public money – money that should be used to build houses and hospitals, develop public transport and deliver services is, in our opinion, criminal. It is nothing new for the ruling class – the bosses and politicians, through their control of the media – to resort to using the term ‘anarchist’ to defame and vilify their enemies, even when their enemies are not anarchists. Sometimes even when they are other members of the ruling class. Indeed, through generations of incorrect use of the term anarchist the word has taken on a meaning very different to what anarchism, and anarchists, really stand for. Anarchism is not about violence or crime, nor chaos and disorder. It is certainly not about using politics to get rich looting state coffers. Anarchism is a political ideology that stands for freedom, equality and social justice. Indeed, it is because of this very commitment to freedom and equality that anarchists would want to have nothing to do with the leadership of the ANC, which is an anti-poor party that does not, and cannot serve the interests of the majority of the people in South Africa. The ANC, through its policies and actions, has consistently shown itself to be both anti-poor and anti-democratic. While we anarchists do oppose the bourgeois nationalist project of the ANC, we are not interested in participating in any way in its leadership structures; nor using these to get comfortable positions in government, where we would have access to state resources. 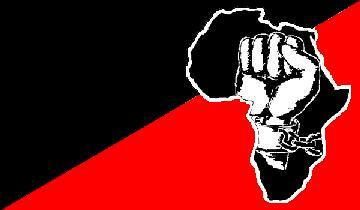 Those people, like us anarchists, who want a real future for the majority black working class and poor – a future based on freedom, equality and justice – belong with the workers and the poor, and not with the ANC. We anarchists have no ties to businessmen nor cash heists, because we are not interested in enriching ourselves. We are workers for the revolution and, as such, believe that Cosatu’s time and energy – and that of other workers, students and the unemployed – would be better spent building a serious grassroots campaign within the townships and poor communities to make real the promise of ‘a better life for all’ – by imposing our demands on the ruling class – instead of wasting its time campaigning for the ANC, begging for crumbs from the master’s table and being sucked in and diverted by the political intrigues and factional squabbles of the ruling class.